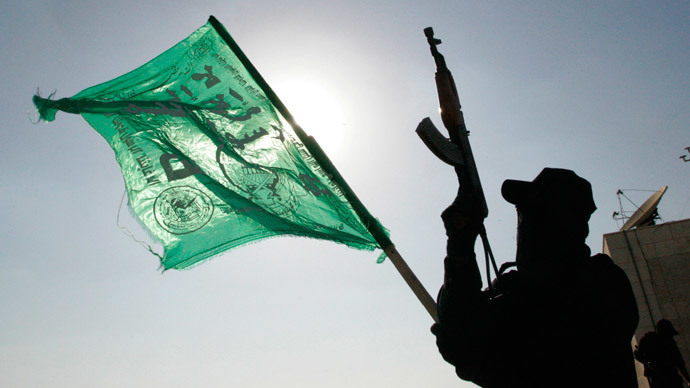 An Egyptian court has declared the Palestinian movement Hamas a terrorist organization. The group, an offshoot of the Muslim Brotherhood, called the decision “shocking and dangerous,” saying it shows that Egypt is "serving the Israeli enemy." "The court ruled that Hamas should be included as a terrorist organization," Samir Sabry, a lawyer involved in the case, told Reuters. The decision follows an Egyptian court’s ban on the Izza-Din al-Qassam Brigades, an armed wing of Hamas, in January. Authorities accused the group of smuggling weapons into the country to provide assistance to Islamists fighting against the current government. They also alleged Hamas’ armed wing had planned and carried out terrorist attacks in Egypt, including a shooting in Sinai on January 29, in which 33 people were killed. Egypt has for many years been the main mediator between Israel and Hamas and helped reach agreements on ceasefires – including a truce last August that stopped the war in Gaza, which is ruled by Hamas. However, relations soured after the ousting of Mohamed Morsi, who was backed by the Muslim Brotherhood. "The Egyptian court's decision to list the Hamas movement as a terror organization is shocking and is dangerous, and it targets the Palestinian people and its factions of resistance," Hamas said on Saturday. "They are now saying that the [Palestinian] resistance and struggle against the occupation is a crime," Ghazi Hamad, deputy foreign minister for Hamas in Gaza, told Al Jazeera following the ruling. "With this politicized verdict, Egypt is serving the Israeli enemy and is no longer an impartial sponsor to any Palestinian issue," Fawzi Barhoum, a Hamas spokesman in the Gaza Strip, told Anadolu Agency. Hamas is an offshoot of the Muslim Brotherhood, which was also listed as a terrorist organization in Egypt after Morsi was toppled in 2013. On Saturday, a court in Cairo sentenced 14 members of the movement – including its head, Mohammed Badie – to life in prison for inciting murder. Hamas was created in 1987 with the declared aim to liberate Palestine from Israeli occupation and to establish an Islamic state. The military wing of Hamas has been launching attacks against Israeli soldiers and civilians using suicide bombings and rocket strikes. The organization began taking part in politics in 2004. In 2005, Hamas won 91 places of 118 in municipal elections. In 2006, it won a majority in the Palestinian parliament. Hamas is recognized as a terrorist organization by various countries, including Israel, the US, Canada, and Japan. However, the EU General Court ordered Hamas be removed from the bloc’s terror blacklist last December. The court said the decision to remove Hamas from the list was not based on an examination of the group’s activities, but rather on an examination of the procedures used to institute the 2003 ban. However, a funding freeze against the group and sanctions against its members will remain in place for three more months.